Anapaula Molero ranked number one in Venezuela at just 16. Tennis is a different game to what it was when Anapaula first stepped onto the court. More competitive, and more physical, pros today are a new breed. Here she shares key coaching tips to help you master the technique and mentality needed to dominate matches. “Sprint drills, jumping rope and running at least twice a week to get the blood pumping, these exercises engage your fast twitch muscles for rapid movement. 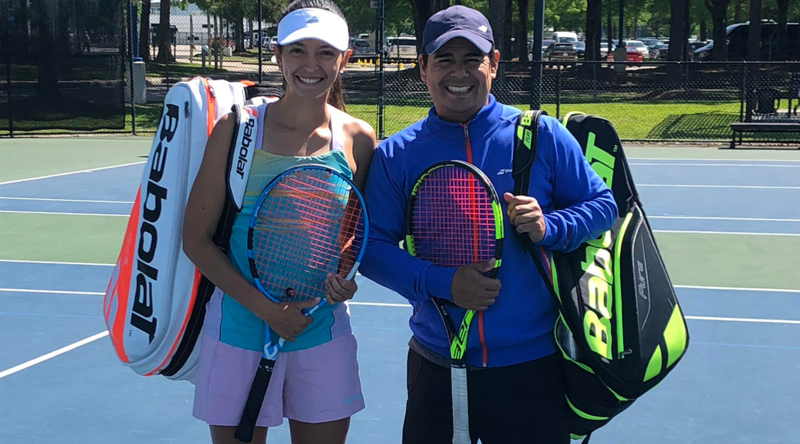 While coordination training and underhand tiebreaker tennis drills will keep you on your toes and gift you with the agility you need to outwit your opponent,” she explains. The modern game also requires a more angular swing that involves the whole body, pushing more strength into the shot. And grip techniques have also shifted, moving from the traditional continental grip, to the Semi-Western, favoured by most professional players, which injects aggression and top spin into every hit. 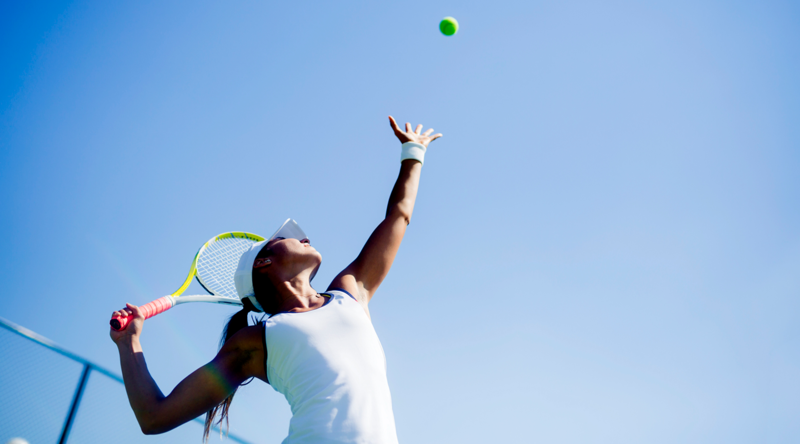 Are you using the right tennis shoes for the surface you’re playing? The serve is your best weapon. “Once you’ve developed your go-to-serve, you can use it on crucial points to really secure the win” says Anapaula. “Look at your stance, try out pinpoint and platform serving stances and test them to see which works for you”. What is the Pinpoint stance? Feet inches apart, this stance provides the player with explosive speed, but it’s harder to balance throughout the motion. What is the Platform stance? Feet shoulder width apart, platform allows the player to easily shift weight from foot to foot, but requires small adjustments to be made to the positioning of your body depending on serving Advantage or Deuce. Next up, ball toss and return of serve. In both cases Anapaula recommends practise, practise, practise. “Rehearsing the toss will help you get a better contact point, imagine the ball leaving your hand effortlessly in a straight upward line, rather than being thrown. Now align your body so you are hitting downwards”. “When returning the opponents serve, I favour a split step for overall positioning. It gives you the best chance of getting to the ball while running to the net, and shortening the swing will make sure you are not hitting the ball late”. Mistakes can limit your play and place real strain on your body. We asked Anapaula to share the three most common errors she sees and how to avoid them. “Instead of using max power on each shot, think about playing 70-80% of your power, it’s easier to make mistakes when going full throttle on each shot. Slow it down and you’ll have more success, focus on better ball placement and high consistency”. A tennis match is as much a mental battle as it is a physical one. To maintain mental strength throughout Anapaula recommends resetting your thought process after every point. Playing to win requires an attitude that does not accept losing, and ice-cool confidence is achieved through hard work and preparation. The hard and fast rule to improving your game? Get out on court and hone your technique. 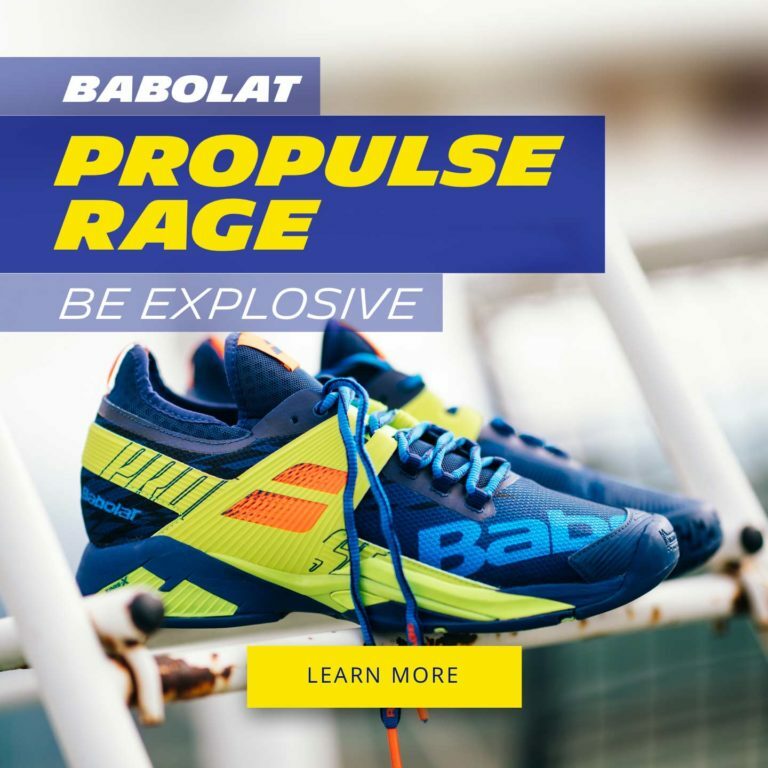 Anapaula wears Babolat Jet Mach II – a firm favourite of the pros for speed and stability, the shoe is effortlessly lightweight and provide unrivalled grip across multiple surfaces.